In case you missed last Sunday or if you are new to Canvas and want to check out what we are like before you attend, we have posted our previous series at your convenience. Just click on the link and enjoy! Draft horses are muscular horses that are used by farmers to help till the soil, and pull heavy things from field to field. One single draft horse can pull about 8000 lbs. But when you put two draft horses on the same load, they don’t only pull twice their own weight, they can actually pull THREE times their own weight, 24000 lbs. Horses, like humans can accomplish more together than the sum of its parts. Join us as we discover that we are better together. God created man, man creates culture. Therefore, Christ sits outside of culture and judges culture while inviting us to change it to look like His kingdom. So this month we will look to the Scriptures to see how Christ views what we as a society value. We as Christians believe that the Bible is sacred. That God used authors to write the Bible and we believe that God uses the Holy Spirit to reveal Himself through the Bible. That is why we are taking a month to read through the Bible as a church. Join us as we study Luke together. Each and every one of us are called to be and to make disciples. 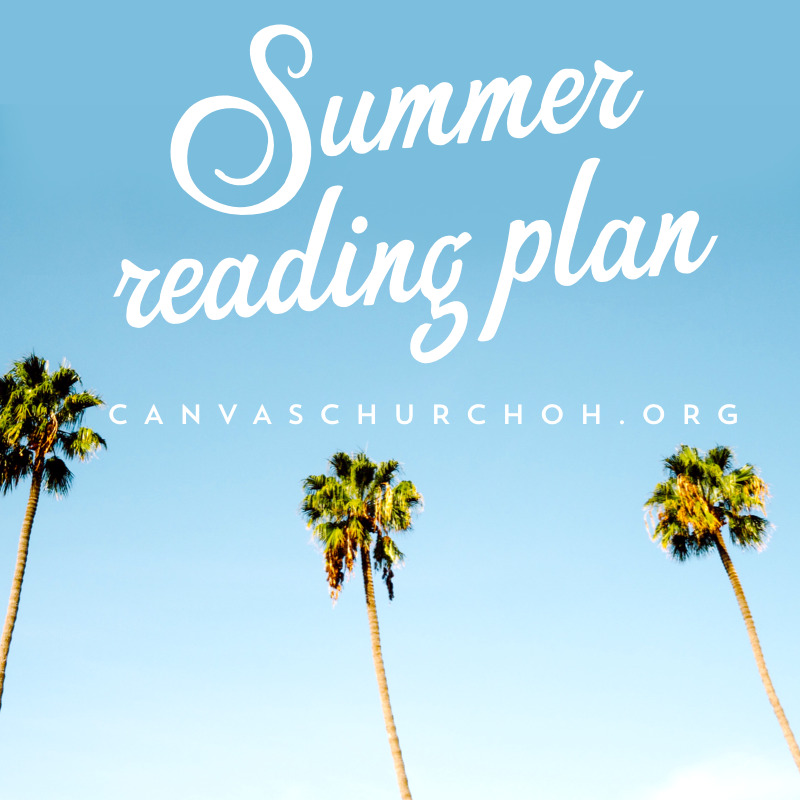 This is the mission of Canvas, to reach people, to reveal Jesus and to make disciples. You and I are called to be and to make disciples, so it would make sense to devote ourselves to disciple-making. This month, we will look at Jesus' blueprint of discipleship to learn why, what and how to make disciples. With the advent of the FMRI machine (functional magnetic resonance imaging), scientists are able to observe and learn about the brains in ways that were not possible 20 years ago. Did you know that when certain parts of the brain light up, others go dark? Or that your brain goes through a major reconstruction process that begins at puberty and isn't completed until your mid 20's? Did you know that research has revealed that prayer and meditation improves brain functionality or that when Jesus said, "You must change and become like children." He may have been referring to how children process information? Learn more in this mini series called "Brain stuff." As we open our discussion on the purpose of Jesus, it is easy on Easter to reduce His life to death on a cross. Indeed, this was a momentous occasion, however, Jesus came to do more than to just die for our sins. This week, we will luke at Jesus' purpose He identified in Luke 4. The first is the proclamation of the Gospel, the good news. What is good news and why does it matter? God didn't just send His Son so that we can go to heaven when we die. He sent His Son so that we could learn from His model how to change the world. The call to being a Christian is a call to change the world. So no matter where you are, lead where you are. In this 4 week series, pastor Tim examines a promise God made to Israel that is repeated throughout the Scriptures and applies to us today. What does it mean when a person says, "God calls them"? This two part series shows what it means to be called and what are the responsibilities of the called. We believe the dreams and desires in our heart are not an accident, but something God instilled in us to draw us closer to Him. Check out this four part series on Dreams.